If you think of your eye as a bath, your dry eye occurs when the bath is ’empty’. This can occur because the ‘tap’ or tear gland does not produce enough tears. One method of improving the surface of the eye (akin to filling the bath) is to put a plug in the tear duct. These are known as punctal plugs and can significantly improve dry eye in cases where lubricants alone are ineffective. Punctal plugs are tiny silicone implants that are placed in the tear duct (into the opening or ‘punctum’). They measure between 0.4 and 0.8 mm in diameter and are sized according to the size of your punctum. The plug is transparent and barely noticeable to the naked eye. How are punctal plugs placed? The plug is guided into the punctum using a special applicator. This can be done in the clinic room with anaesthetic eye drops and is usually relatively pain free. The plug is inserted into the punctum of the tear duct to prevent tears escaping down into the nose and should sit tightly. What are the risks of punctal plugs? There are very few risks using punctal plugs. The most common risk is that the plug can fall out of its own accord. This happens intermittently and the plugs can be replaced if required. The plugs can cause watering of the eye as the tears cannot escape down the tear duct into your nose. This does not usually cause too many problems and in many cases will help the eye fell more comfortable. Rarely the plugs can irritate the eye. If the plugs cause any significant problems they can usually be easily removed in clinic. Punctal cautery is similar to punctal plugs but is a more permanent solution. Normally Mr Norris will trial you with punctal plugs and if these prove beneficial he will then consider using punctal cautery. How do you perform punctal cautery? Punctal cautery is normally performed in the minor procedures room. The procedure involves a small injection of local anaesthetic into the eyelid. 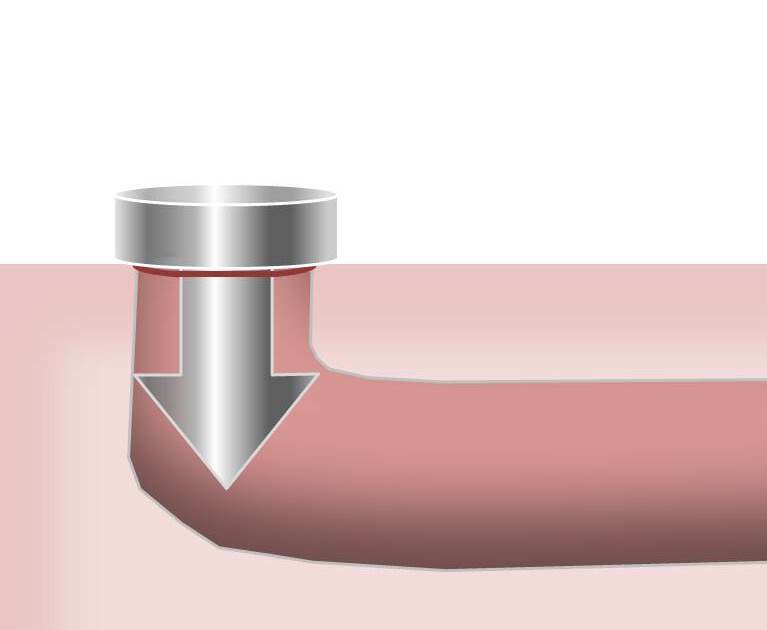 A probe is placed into the tear duct which cauterises the inner aspect of the tear duct to cause a scar and ‘seal up’ the tear duct. What are the risks of punctal cautery? You may have a bruise after the treatment involving the eyelid. This will normally resolve in the first week or two. There is a small risk of developing a watery eye after treatment. This usually depends on whether the both the upper and lower tear ducts are cauterised or simply the lower ducts. Rarely the tear duct can re-open after the cautery has been performed. If this is the case Mr Norris would normally advise that the cautery is repeated. If this still proves ineffective then Mr Norris will discuss further surgical options with you in clinic.